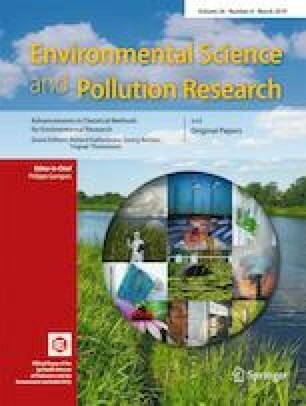 Macro-elements (Ca, Fe, K, Mg and Na) and trace elements including some toxic (As, Be, Cd, Co, Cu, Mn, Ni, Pb, Se and Zn) were determined in edible and inedible wild-growing mushrooms (Amanita rubescens, Auricularia polytricha, Boletus edulis, Boletus mirabilis, Clavulina cristata, Helvella crispa, Lactarius deliciosus, Suillus luteus, Termitomyces microcarpus, Termitomyces reticulatus, Termitomyces clypeatus, Termitomyces umkowaanii, Amanita foetidissima, Amanita muscaria, Amanita pantherina, Aseroe rubra, Chlorophyllum molybdites, Ganoderma lucidum, Gymnopilus junonius, Hypholoma fasciculare, Lentinus villosus, Lepista caffrorum, Pycnoporus sanguineus, Panaeolus papilionaceus, Pisolithus tinctorius, Pleurotus ostreatus, Podaxis pistillaris, Russula sardonia, Scleroderma citrinum, Scleroderma michiganense). Analyses of samples were carried out using inductively coupled plasma-optical emission spectrometry. The elemental content in both edible and inedible mushrooms, in decreasing order, was found to be K >> Na > Ca > Mg > Fe > Mn > Zn > Cu > Se > Co > Ni > Be > Pb ≥ Cd > As. Our study revealed that the accumulation of metals from the soil is independent of whether mushrooms are edible or inedible as uptake is dependent on the soil quality and its environment. Edible mushroom species studied were found to be rich in Se (145–836% towards the RDA) with B. edulis being rich in it, C. cristata in Cu, S. luteus in Fe and H. crispa in Zn, and all contained low concentrations of toxic metals making them suitable for human consumption. The online version of this article ( https://doi.org/10.1007/s11356-019-04223-0) contains supplementary material, which is available to authorized users. The authors express their sincere appreciation to the Sappi, Mondi and Merensky companies for allowing us to collect samples from their pine plantations, the School of Chemistry and Physics at the University of KwaZulu-Natal for providing laboratory space, the Research Office of UKZN and the National Research Foundation ( SGD170612239662) for financial support. We are also indebted to Dr NT Mahlangeni for her immense support and willingness to assist with SPSS programme for statistical analysis.